The organisers, First And Last Running Ltd normally hold this as a four seasons (winter, spring, summer and autumn) event throughout the year. 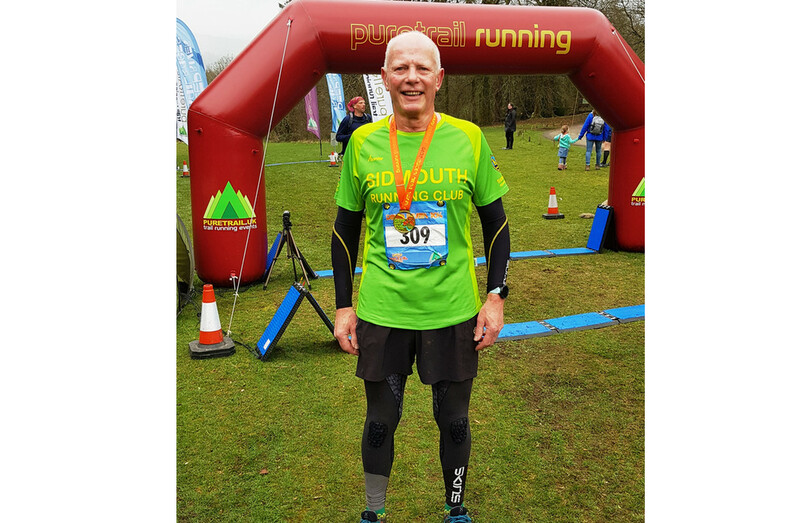 This year they added The 2018 Merry Xmas Plym Trail Marathon. 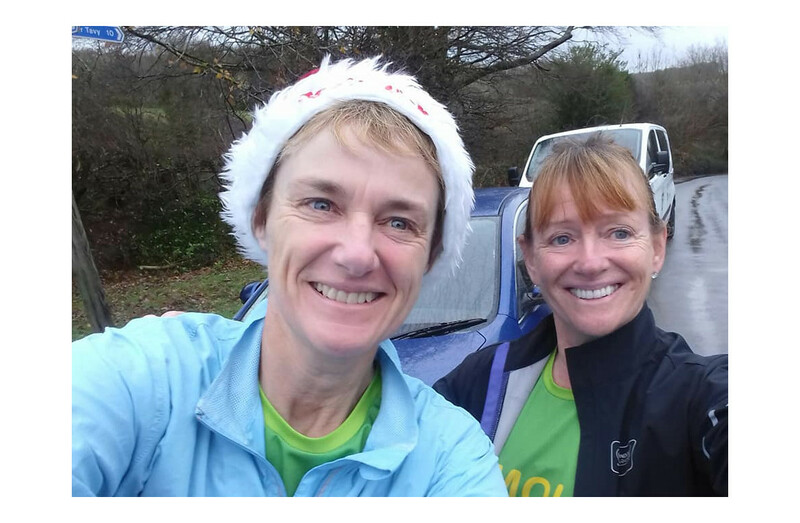 O Sunday the 16th of December two Mighty Green ladies, Jo Earlam and Jane Hemsworth took part. The race started at Clearbrook, near Yelverton and continued south towards Plymouth along the old railway line, now the Cycle Route 27. It is downhill all the way out, with the turnaround point being Coypool. This meant it was an uphill trek all the way back! The half marathon competitors ran the one circuit. 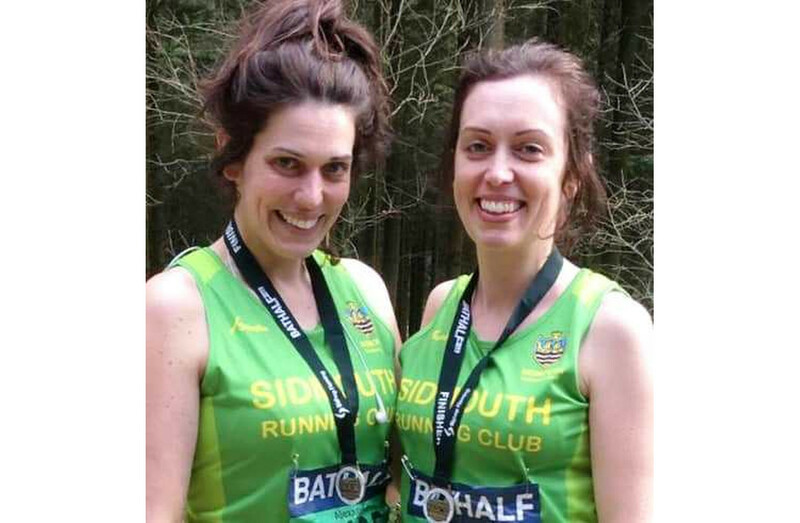 Our two MG ladies took on the full marathon, so they had to do two circuits. It’s a beautiful scenic route on a path shared by walkers, runners, cyclists, cows and sheep! There is no traffic to contend with, making this marathon pleasurable to take part in. The refreshment stations were well stocked with chocolate, crisps, peanuts and satsumas as well as sports drinks and gels! Both ladies ran together giving moral support and were very happy with their finishing times of 4h:47m. 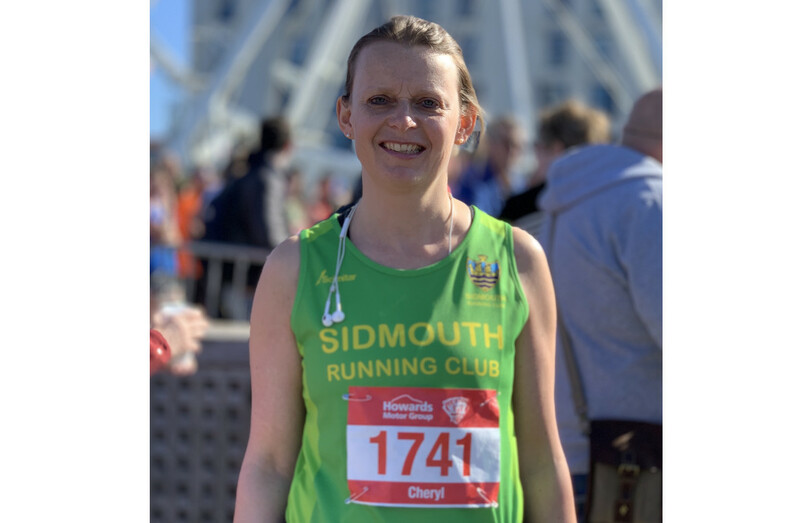 Respect goes to both runners with Jane finishing her 22nd marathon and Jo, now having completed 65 marathons in total. Does this qualify her for marathon OAP status? I think it should, but i hope that it doesn’t mean that Jo is going to retire from the marathon scene. Both ladies enjoyed the well organised event and would really recommend this one. Jo rates it as her favourite so far.